REMINDER concerning all travel out-of-province/country after July 1, 2017: An absence whose expected length is less than 90 consecutive days is covered. If the absence is expected to exceed 90 days, there is no coverage during the entire absence. For more information on your insurance plan, contact Industrial Alliance at (514) 499-3800 or 1-800-363-3540 or consult your online client space. This link describes important information from QPAT regarding the health insurance plan, specifically the generic drug substitution programme that will begin January 1, 2015. This information document from Health Canada explains more details about generic drugs. Ce lien décrit de l’information important de l’APEQ concernant notre régime d’assurance de soins de santé, spécifiquement le programme de substitution des médicaments d’origine qui entrera en vigueur le 1er janvier 2015. Ce document de Santé Canada explique plus d’information au sujet des médicaments génériques. Industrial Alliance has a contest to encourage our members to sign up for direct deposit of insurance refunds. You could win an all-inclusive trip to St. Martin! Industrielle Alliance organise un concours visant à encourager les membres à s’inscrire au dépôt direct des remboursements d’assurance. Vous pourriez gagner un voyage tout inclus à Saint-Martin! A document concerning a proposed dental insurance plan for ESTA members has been sent to all school and centre union delegates. For more information, please speak to your school/centre’s union representative. If you would like a digital copy of this document, you may request one by contacting Ray Venables at esta@globetrotter.net. Teachers benefit from the Industrial Alliance medical plan which includes drug coverage. Since prescription drugs are reimbursed at 80% of their cost, members are well covered. However, you may not have considered that the cost of medication varies greatly within the province. In a recent new story by Radio-Canada, it was explained that Quebecers can expect to pay as much as $20 difference for the same prescription from one pharmacy to the next. Since QPAT manages the teachers’ Industrial Alliance plan, it is this plan that must pay for these higher costs. Should teachers be concerned? Unlike the private sector, our employer does not contribute to the teachers’ insurance plan. Therefore, all costs must be borne by its members. 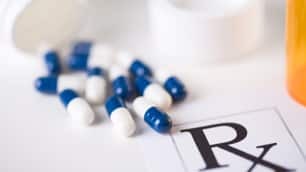 A single prescription will usually not cost the teacher significantly more money since he or she only has to pay 20% of the initial cost; however, if market costs increase, then all the members are affected since the plan must charge more in premiums. The math is simple: as costs increase, so do premiums. Buy generic drugs when available. Shop around. Look for the lowest prices. Without question, the variation in drug costs throughout the province is a larger, provincial issue. However, by exercising the aforementioned suggestions, our insurance plan will benefit from our collective efforts. Industrial Alliance has asked that we remind our members of the 12-month rule. Insurance claims submitted more than 12 months after the costs were incurred are not eligible for reimbursement. So don’t delay! Please make sure to submit your claims on time.